RONKONKOMA, NY -- CIRCOR Aerospace, Inc. / Aerodyne Controls, part of CIRCOR International company (NYSE: CIR), has selected Rodney Tache as Regional Sales Manager for the Aerodyne Group, reporting directly to Herman Shanian, Business Development Director. Tache will be responsible for managing existing customer accounts, new business development activities, and management of representative group Russell Associates. Tache most recently held the position of District Sales Manager with Data Device Corporation, a manufacturer of electronic networking solutions for the Aerospace and Military markets. 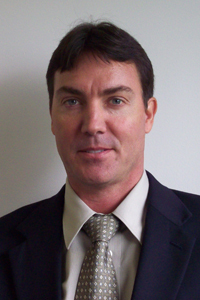 Prior to DDC, Rodney spent over 10 years with RVSI inspection, a manufacturer of semiconductor capital equipment, as North America Sales Manager. He will be based out of the Aerodyne facility in Ronkonkoma, NY. Aerodyne Controls, a CIRCOR Aerospace, Inc. company, designs and manufactures high-quality pneumatic control systems, precision switches and inflation systems for the aerospace, defense, and space markets. Parent company CIRCOR International is headquartered in Burlington, Massachusetts.